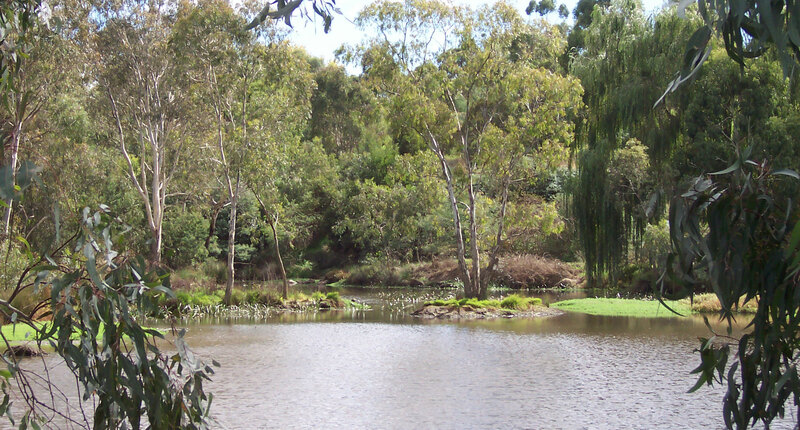 The Alphington Wetlands is located on the flood plain of the Yarra River at the southern end of Alphington Park and on the adjacent privately owned land at 1 View Street (Melways Ref 45 C1). The festival is best accessed via View St. View St will be closed to car traffic at the corner of View St and Lucerne Cres. From that corner, you can find the festival ground by continuing on foot down View St to the river flat and turn right through the gate on the river flats after passing the tennis courts (which will be on your right). 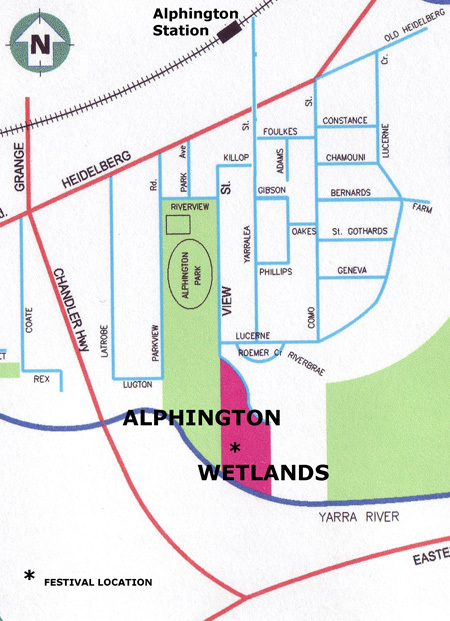 The Alphington Wetlands is a collaborative project involving the South Alphington and Fairfield Civic Association (SAFCA) Inc, City of Yarra, Kate Herd of 1 View Street, and local residents. Alphington train station is an easy ten minute walk from the festival site. People are encouraged to ride their bikes to the festival. There is limited local car parking available, and we encourage people to walk, ride or catch public transport to the festival. Local parking is available in the surrounding residential streets (check Melways Ref 31 C12). Parking is unrestricted in most areas. Please do not in any circumstances, park across residential driveways, and we ask all patrons to be respectful of the amenity of local residents.